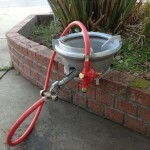 How to get gas coming out from your propane tank? We just add a video on how to tighten our stove regulator connector into a propane tank in order to get the gas coming out. See our product documentation page. If you like our stove but find a comparable stove that is cheaper somewhere else, please let us know. We will investigate if we can match our price to what you have found. Our contact form is here. Stoves with highest heat and continuous heat adjustment are here – PF13xx160 series. How to enter contact us information? We have implemented picture verification to prevent machine auto filling into our “contact us” form. Please read the instruction beside the pictures carefully. Then clicked on the correct picture before clicking on “send” button. Our popular PFx160EI stoves is back in stock. We have restored our service. Sorry for the inconvenience in last couple of weeks.